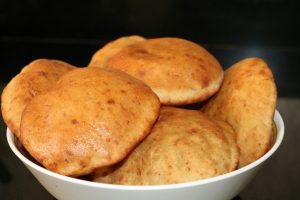 The overripe bananas in the basket set me thinking… Why not have Mangalore Buns for breakfast. Step 1 Peel and cut Bananas into medium pieces and grind it along with the sugar. Step 2 Mix baking soda and curd in a bowl and beat well. Step 3 Mix together the banana mixture, crushed jeera, gram flour and all purpose flour. 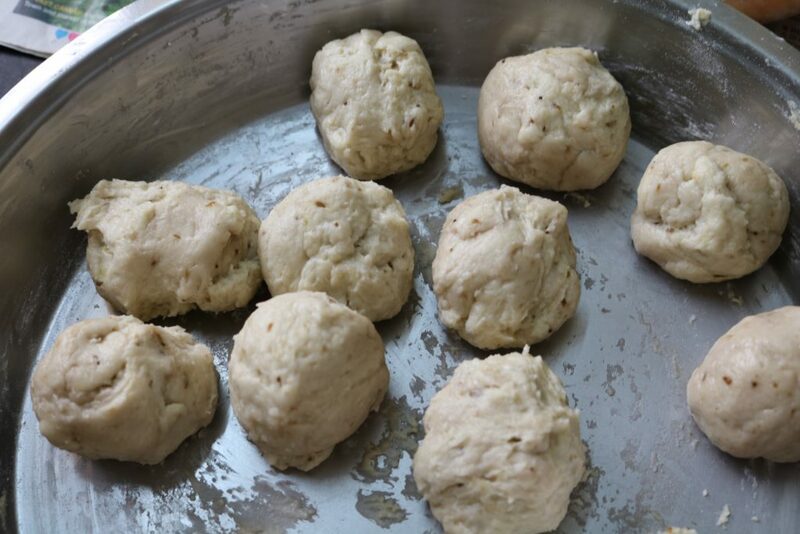 Gradually add the curd mixture and knead it to a soft dough. Keep it aside for 4-5 hours or preferably overnight to ferment. Once fermented the dough is ready. Make small balls and roll out into thick puris. 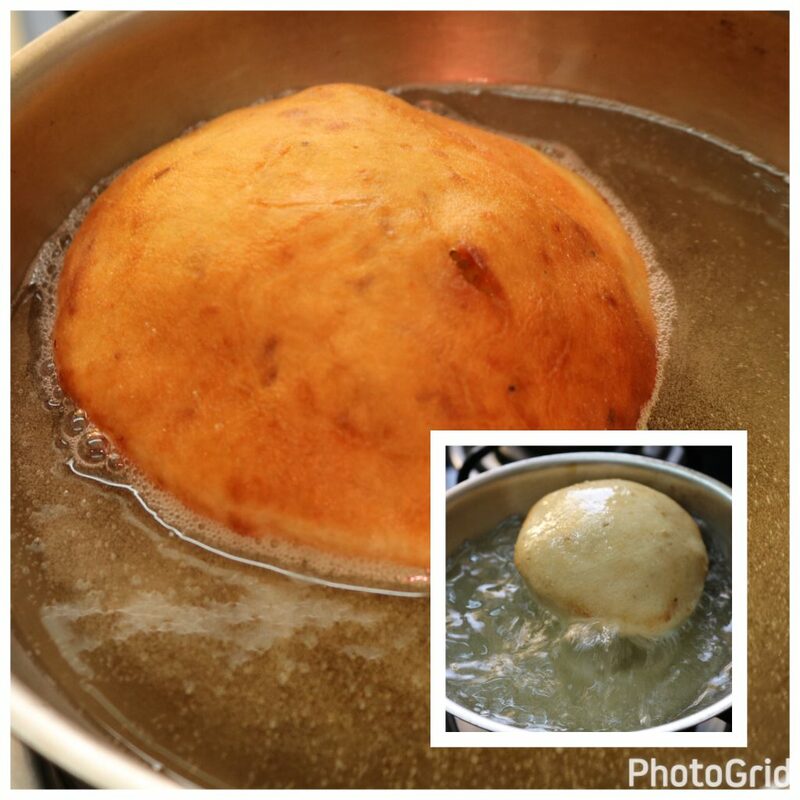 Heat oil in a frying pan and deep fry the buns until golden brown on both sides. It is Sunday and the inevitable question – what’s for lunch? 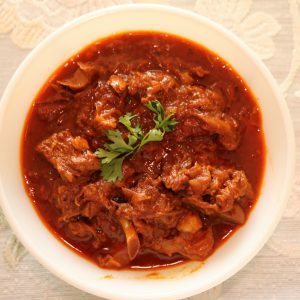 There was mutton in the freezer and that brought memories of Rajasthani Laal Mass we had while holidaying in Rajasthan. A search brought up this recipe. As usual, I tweaked it a bit.. Step 1 Take curd, ginger garlic paste, chilli powder, turmeric powder in a bowl, mix well and set aside. 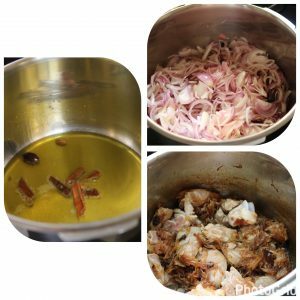 Heat ghee in a pressure cooker, add in cinnamon and black cardamom. Add onions, salt and cook until golden brown. Step 3 Add in mutton and mix well until it is seared. 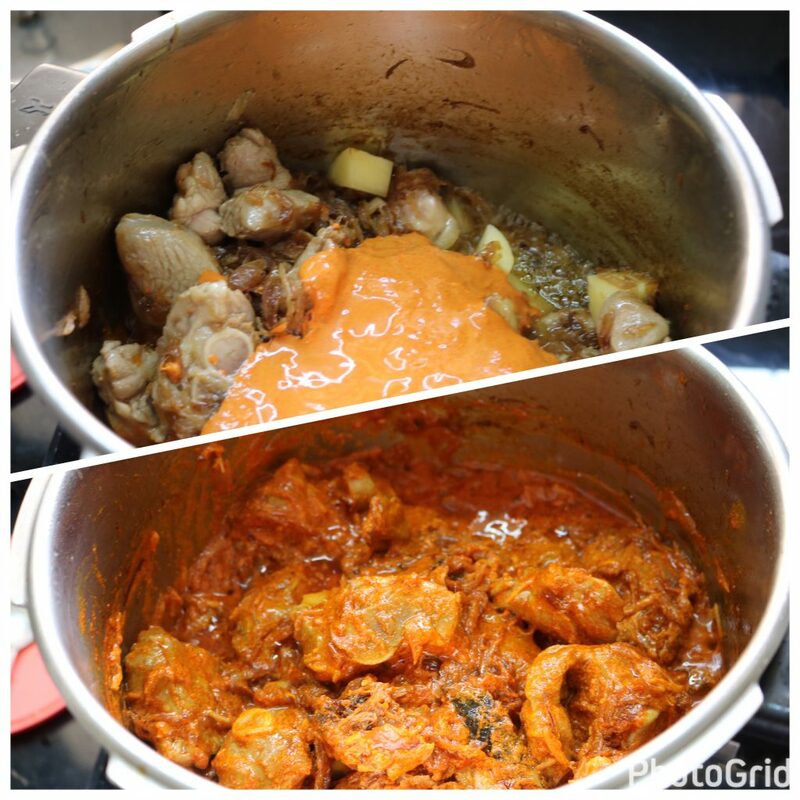 Add in curd mix and stir well till the colour darkens. Add some water. Add some water and mix well. Cover and pressure cook for 3 whistles. 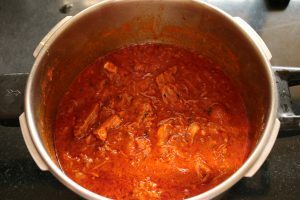 Then simmer the flame and cook for 15 mins. Turn off the heat and let it stand till the pressure is released. 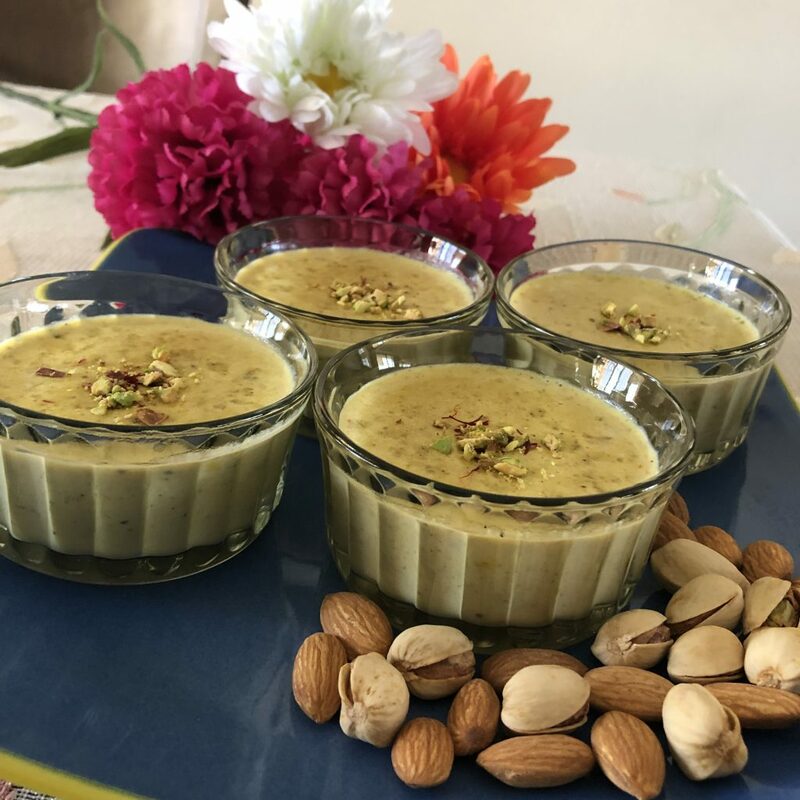 It is Holi and no Holi is complete without Thandai. 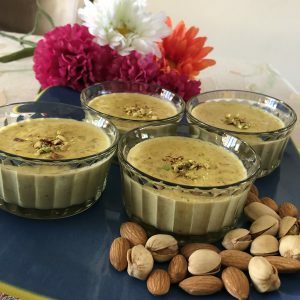 How about Thandai as a dessert ! You can also use edible silver flakes and dried rose petals as garnishing. Step 1 Wash the brown basmati rice and soak it in water for 20 minutes. Soak the almonds in water for 20 minutes. Step 2 Bring the milk to boil, reduce the heat and keep it simmering. Drain the soaked rice and grind it very coarsely in a food processor. Add it to the milk and let it cook. Step 3 Remove the skin from the almonds by gently sliding it off. Remove seeds from the cardamom pods. Add the almonds, cardamom seeds and the rest of the ingredients except saffron, to a food processor and grind to a coarse mix. Step 4 Add this to the simmering milk and rice mix. 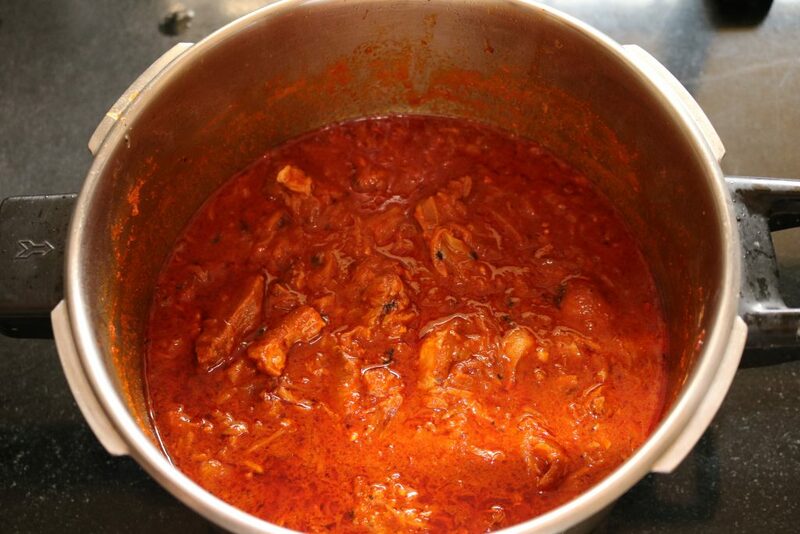 Add the saffron too. Mix well. Step 5 Remove from heat and chill in the refrigerator. Pour into serving bowls and top with grated pistachios. before serving. In the story “The Rabbit and the Tortoise”, slow and steady won the race. This was true in 18th, 19th century etc. In the dynamic times like the present, the post (goal) keeps on moving as fast as you run, even the tortoise has also gained speed. The more we try to reach, the far the goal is and both tortoise and the rabbit wear out in the middle and keep on hoping to reach the post some day. Isn’t this a simile for today’s mad rush towards the moolah? Isn’t it even the case for both developed (Rabbit) as well as the developing nations (tortoise)? Correct me if I am wrong.